Only reaching a trunk height of 3 feet at maturity, the dwarf tree fern (Blechnum gibbum) is an evergreen tropical fern with many feather-like fronds in a rounded tuft. 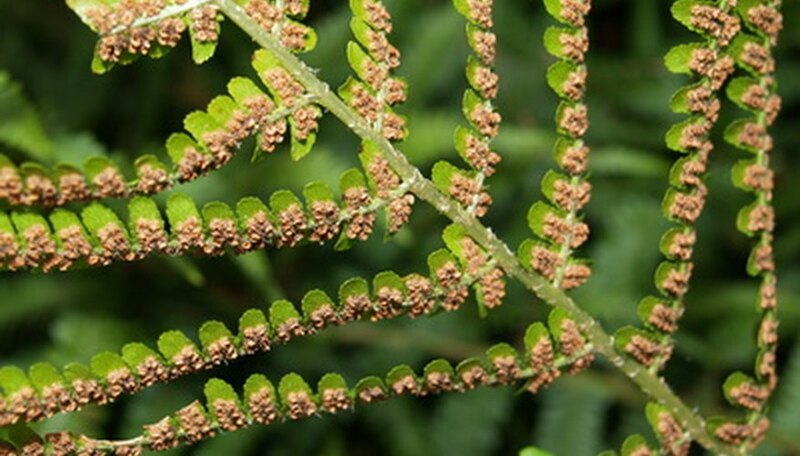 A non-flowering plant in the hard fern family, Blechnaceae, it reproduces by spores on the undersides of fertile leaves. This fern species does best when shielded from direct sun rays. As a houseplant, place it in a brightly lit room with indirect light, just out of the reach of direct sun 3 to 7 feet away from windows. Outdoors, dappled shade, as found under the branches of large shade trees, is best. One or two hours of direct sunlight only at sunrise or sunset is fine. Loving rich, fertile soil, dwarf tree fern should be planted in a well-draining soil that is moist. An all-purpose potting mix is good for houseplant specimens, whereas outdoor plants prosper in a loam or sandy, acidic soil (pH 5.0 to 7.0) that is rich in organic matter like compost or peat. The soil should remain consistently moist during the warmth of the growing season, from spring to autumn. Since the soil should be well-draining, applications of 1 to 3 inches of water weekly suffices. In winter, when light is less intense and temperatures cooler, watering should be diminished to 1 inch every five to 10 days. Over-watering causes bronze-tinted leaves. A tropical plant native to the islands of the South Pacific, such as Fiji, the dwarf tree fern must not be exposed to subfreezing temperatures. It handles light frosts, but expect fronds to be damaged from the cold by turning brown. This species is appropriate for growing in USDA zones 10 and warmer, although some gardeners in the warmest sections of zone 9 will have success. As fronds yellow across the year, use a pruners or scissors to clip them away where the stems meet the main trunk. Look under fronds on occasion to monitor for any pests, particularly scale insects or white mealybugs. Wipe off these pest with a damp cloth and squish them. Apply a liquid fertilizer (10-10-10, for example) at one-half the recommended dosage on the product label only during the spring and summer months. Avoid fertilizing in late fall and winter. Those dwarf tree ferns grown as houseplants benefit from increased ambient humidity, accomplished by setting the plant's pot on a tray of gravel filled with water. Avoid positioning this fern in a drying draft from heating or air conditioning vents.